Our detoxification systems are impressive and fairly flexible. 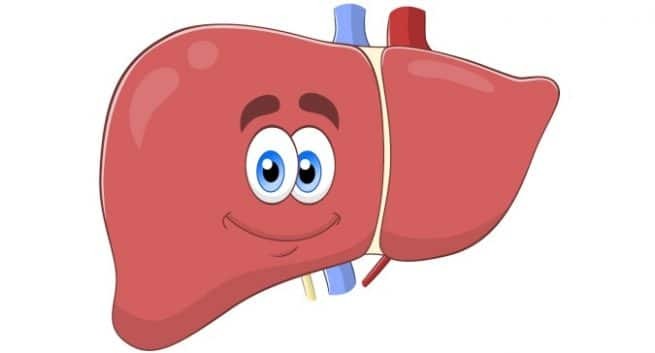 Your liver does most of the work, with your lungs, kidneys and skin helping out. A healthy gall bladder and gut are really important for this process to work well, and a high fibre diet helps to remove all the waste products that are disposed of that way. Your gut bacteria also influence how well you excrete these metabolites. I won’t go into detail, but healthy gut bacteria (the ones that like eating fresh and unprocessed foods and lots of lovely fibre) help. The ones that thrive on a highly processed diet don’t help with this process. The first thing that happens is that your body ‘sorts out’ which chemicals it can get rid of easily and which ones will be trickier. The ones that can’t easily be disposed of tend to be highly fat soluble, so your body sends them to your fat cells. This reduces the impact of those chemicals on your organs by reducing the amount that is in the circulating blood and ‘hiding’ it in your fat cells. These compounds are then slowly released back into the bloodstream over time and hopefully the liver can dispose of these smaller quantities. If the compounds stored in the fat cells aren’t released appropriately (or they are being accumulated faster than they can be disposed of), then that can cause problems. Rapid fat loss can also be problematic because large amounts of the toxicants may become mobile rapidly. The detoxification organs (mostly the liver) recognise parts of chemical compounds, which can be found on all kinds of different chemicals. That is enough for the enzymes to work on. We have different families of enzymes that do different things to help us to metabolise and dispose of all kinds of chemicals (compounds found in food, retired hormones, waste products of metabolism, toxins and toxicants). There are more than 50 enzymes involved in three phases of detoxification. This process is designed to deactivate, destroy and make these chemicals easier to dispose of (for instance to make fat soluble compounds more water soluble). 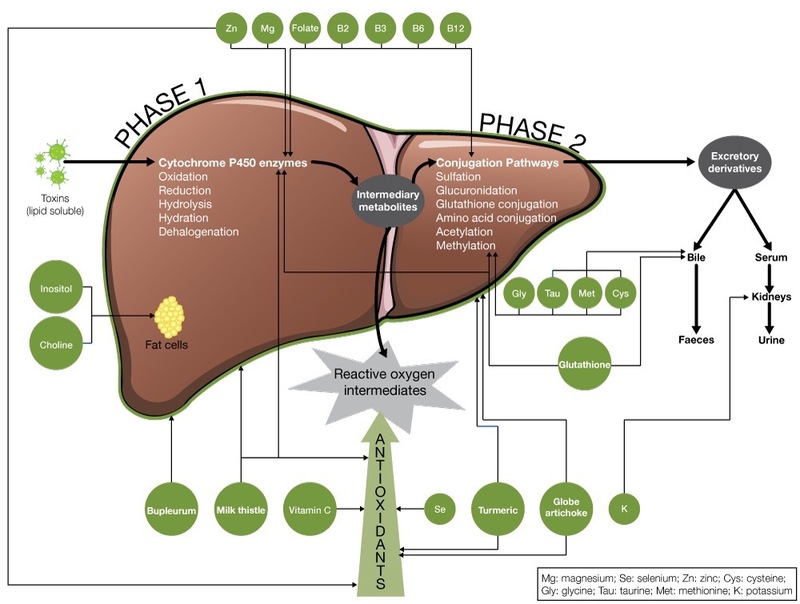 This great little graphic shows how the liver works to do this and some of the nutrients required and other things that can help. It’s simplified, but you get the idea. Take home message – look after your liver and kidneys, eat lots of fibre and plenty of healthy fats. In Part 3, I will talk about how to avoid exposure and some of the things that we can do to support these processes.